If I’m not catching up with clients, I’m putting in some time to retain my crown. Climbing the career ladder or climbing The Eiger. Fortunately, in my job I get to do both! What started as a summer job quickly became a career. I love the people, the place and in particular, my bonuses! I've a great job and I work real hard. But, every staff-do they let me play even harder. Voice is a specialist sales agency. If there's one thing we do really, really well then it's sales. What’s different about Voice is our ability to bring a host of specialised skill sets together to deliver an obsessive service and attention to detail that fits your needs and requirements. When you work hard, it's also important that you play hard. So, that's what we encourage our staff to do. 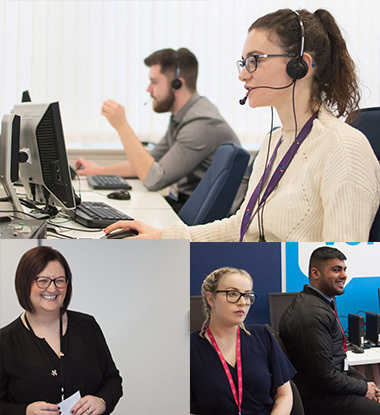 Voice Marketing Limited (Firm Reference Number 773951) is an appointed representative of Capita Customer Management Limited (Firm Reference Number 312851) which is Authorised and Regulated by the Financial Conduct Authority.